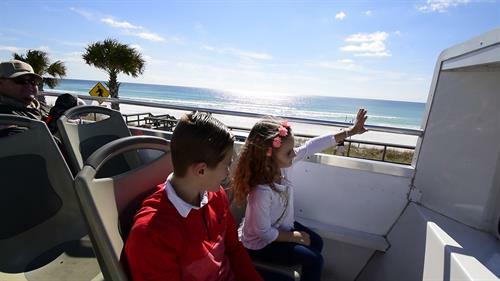 Our “hop-on-hop-off” Gulf Coast Go line, we will be able to connect South Walton visitors with the many attractions and businesses that Destin and Miramar Beach have to offer. On that same note, Destin tourists will now have the opportunity to enjoy a bit of the unique lifestyle that is found in South Walton. We will accomplish this by using a fleet of double decker buses and trolleys along Hwy. 98, Scenic 98 and Scenic 30-A. 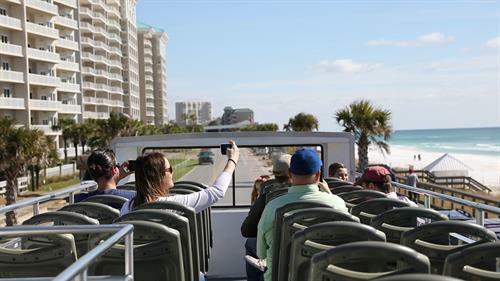 The ultimate goal is to offer more variety to tourists and garner repeated travelers to Destin and South Walton while helping alleviate an ever-growing traffic problem. There isn’t a travel option like this available for tourists visiting South Walton and Destin and we are sure the reduction in the number of vehicles traveling between these destinations will be significant.